Nicknamed a “Gem of Fire,” it was popular in ancient cultures throughout history: The Egyptians used it for jewelry, the Romans made intaglio engravings by carving designs into the back of the Amethyst gemstone pendants, and medieval European soldiers wore Amethyst amulets for protection in battle. Amethyst adorned the breastplate of the Jewish High Priest, and Christian Bishops still wear rings with the “Bishop’s Stone” even today. Since the Greeks believed that the presence of an Amethyst prevented intoxication, they studded their goblets with the purple stone and named it “Amethyst,” which means “without drunkenness” or “not intoxicated.” Amethyst also typically symbolizes humility, sincerity, and wisdom, and it is purported to relieve headaches. Typical shades of purple within Amethysts vary in depth from violet-red to violet-blue with hues of lilac, lavender, mauve, or hyacinth. Some Amethysts, when cut conventionally, will even display flashes of red. To maintain the deep color of your Amethyst silver jewelry, store each piece separately and avoid prolonged exposure to sunlight. Amethyst is found all over the world. One of the largest deposits of Amethyst is located in Zambia, southern Africa, and the largest Amethyst vein in the world is in Lower Austria. Amethyst also comes from Russia, South Korea, India, and numerous places throughout the United States and Canada. Thunder Bay, Ontario hosts the largest Amethyst mine in North America. Amethyst is the official gemstone of South Carolina. Amethyst is traditionally paired with silver in jewelry. 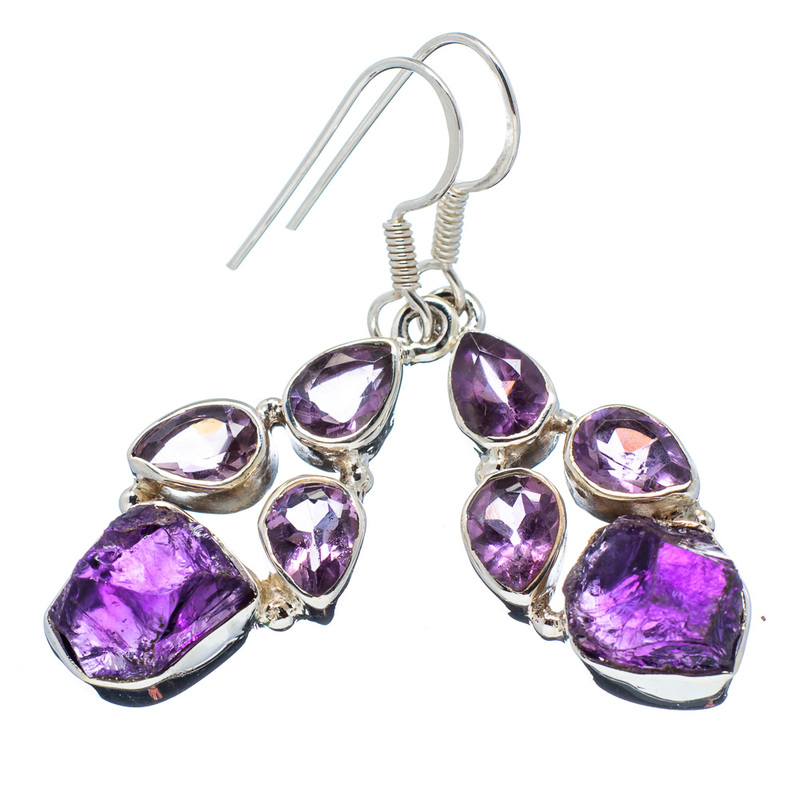 The skilled artisans of Ana Silver Co. use pure 925 Sterling Silver to bring out the dazzling beauty of one-of-a-kind Amethyst silver pendants, Amethyst silver earrings, and Amethyst silver rings. Shop our online store today! Throughout the centuries, Amazonite has been called the Hope Stone, the Truth Stone, and the Stone of Courage. It is found in several countries around the world, including the United States, India, Canada, Russia, Madagascar, and South America. A large deposit of Amazonite is located near the Amazon River in Brazil, thus giving this beautiful stone its name. 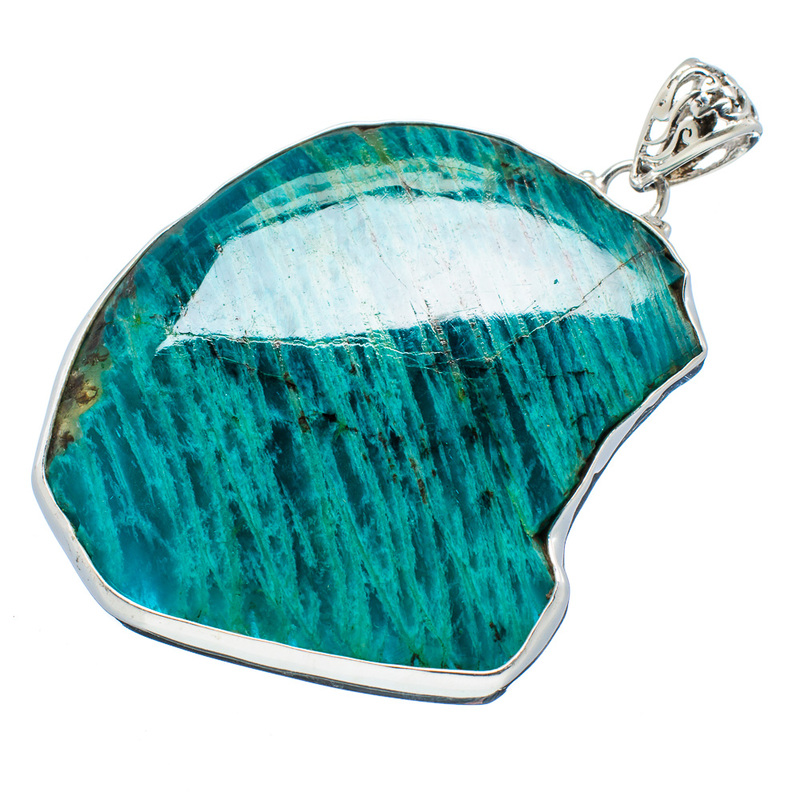 Ana Silver Co. offers a gorgeous variety of Amazonite silver pendants, Amazonite silver earrings, and Amazonite silver rings. Each one-of-a-kind piece is individually handcrafted by our in-house artisans with the finest 925 Sterling Silver. Browse our extensive collection of Sterling Silver jewelry, enhanced with the legendary mystique of genuine Amazonite! Abalone Shell comes from the shells of marine mollusks called abalone, sea snails, and oysters. Also called Paua and Ormer Shell and nicknamed “The Sea Ears,” Abalone Shell is most commonly found off the coasts of Japan, China, and South America. Ocean waves tumble Abalone through sand until it has been softened and naturally polished to a gleaming shine. Although blue, green, chocolate, and white or cream hues are the most common, Abalone Shell can contain nearly every pastel color of the rainbow in infinite patterns that glimmer upon a gently-rippled pearl-smooth surface. 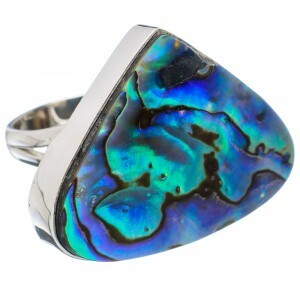 Talented artisans at Ana Silver Co. fashion each unique piece of Abalone Shell into one-of-a-kind jewelry. Our diverse collections of Abalone Shell silver pendants, Abalone Shell silver earrings, and Abalone Shell silver rings are framed by the finest 925 Sterling Silver for a versatile look that is perfect for both casual dress and formal occasions.